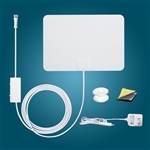 TV Antenna Sale is proud to present the Antop AT-216BD Indoor VHF/UHF HDTV Antenna with innovative built in Door Bell. 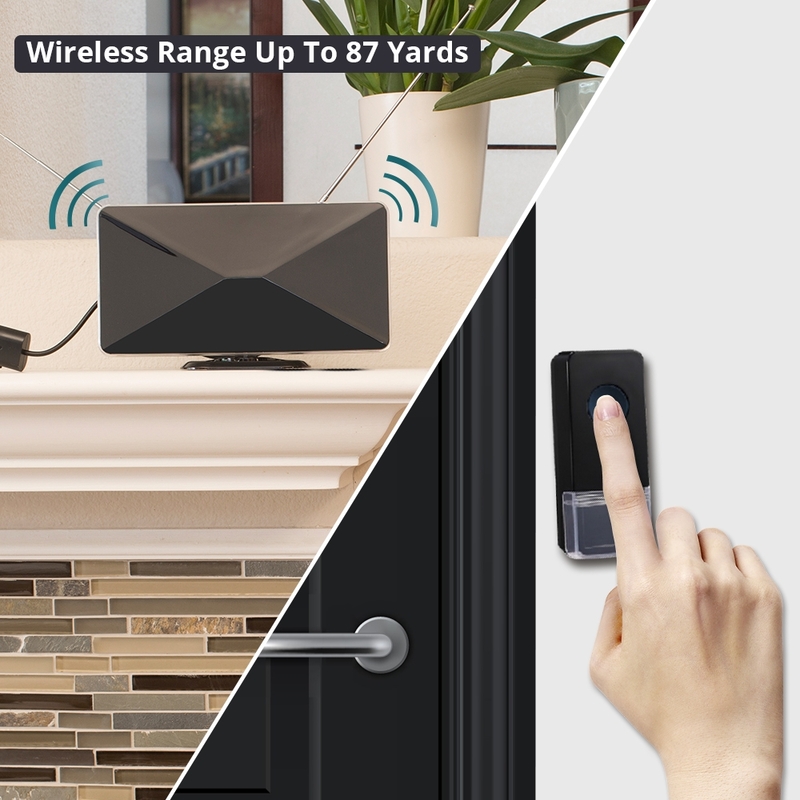 The AT-216BD has built in doorbell, SmartPass Amplifier with 4G filter. Watch Live TV in HD for Free! The Antop AT216bd Supports HDTV 720p, 1080p and Ultra HD 4K. Smartpass Amplifier: The High Gain inline Smartpass Amplifier, balances short and long range reception. ANTOP was the first antenna manufacturer to include a built in 4G LTE filter. This filter will block all 3G and 4G signals from mobile phones, tablets, wireless networks or mobile phone transmitters to ensure your noise-free digital TV reception. 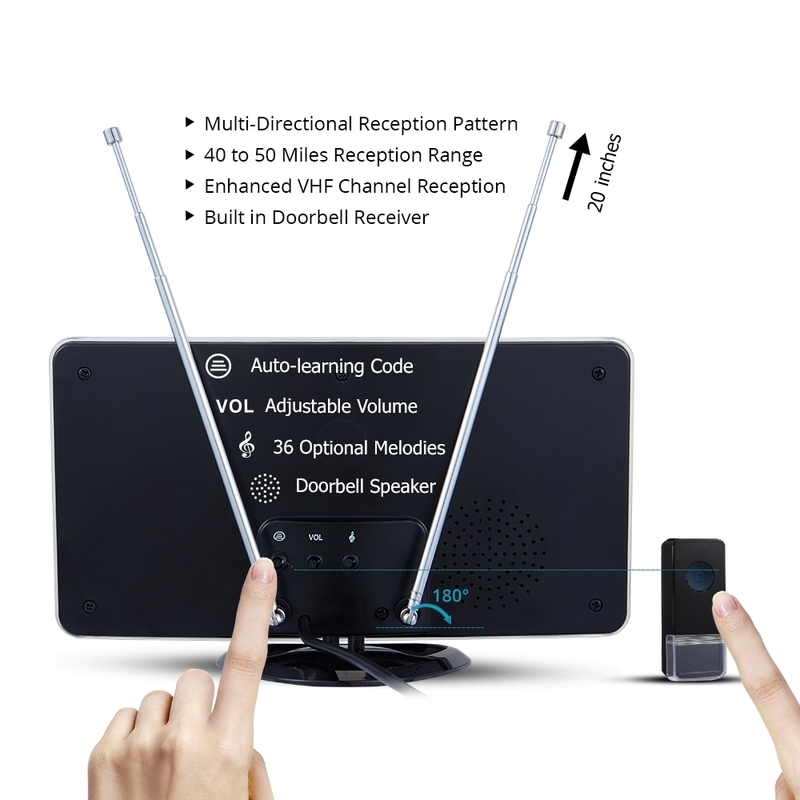 Auto-learning codes enable easy pairing of the receiver (antenna) and doorbell button. 1 Receiver can pair up to 5 doorbell buttons. Consumer package includes 1 button only. 36 different ring tones with 3 levels of adjustable volume (High/ Medium/Low) for 250+ feet wireless operating range. NOTE: Antenna effectiveness is influenced by the distance from signal origination point, station signal strength level, building construction, antenna positioning, reflections from nearby structures and any power consumption sources. The amount of free over-the-air channels you can receive will vary by area and antenna selection, check signal availability at FCC.gov. Our TV Antenna Experts are Here to Help. 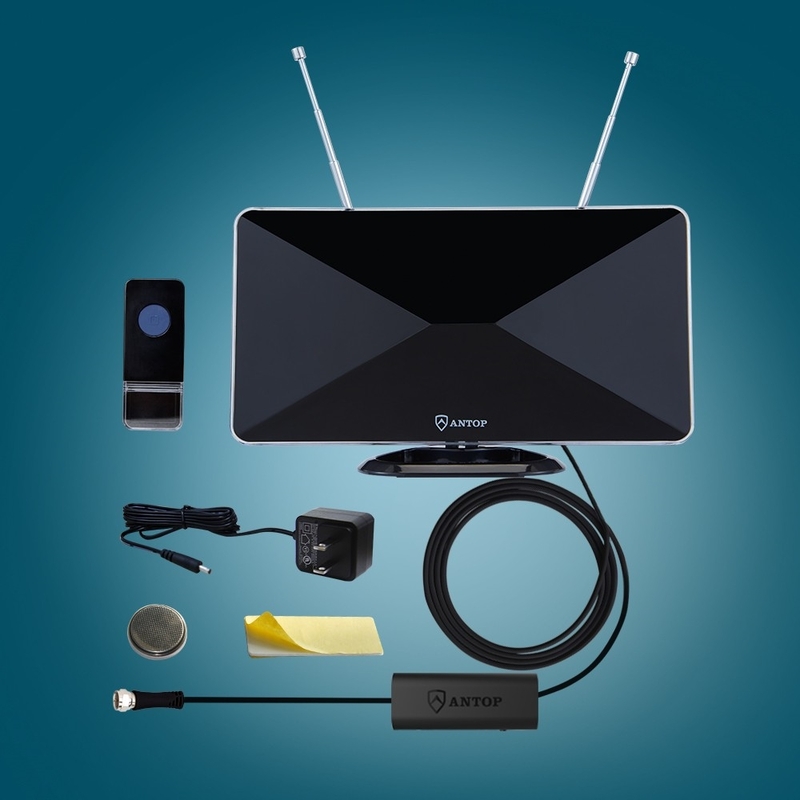 Give us A Call for Free Advice and TV Antenna Recommendations for Your Area.